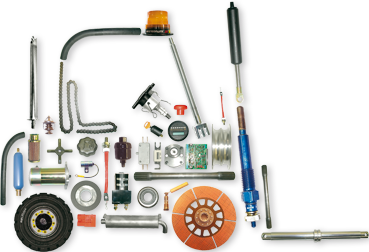 TotalSource® is the definitive supplier of parts for Forklifts. Shipping directly out of Kansas the part you need is just days away from your facility. Buying Parts For Multiple Locations? We Can Ship Nationwide. Parts Available From 10 Distribution Centers Across The Country. Tremendous Purchasing Power Within The Industry To Delivery Outstanding Availability and Pricing. From air and fuel filters, belts, forks, brakes, covers, lights, chargers, cables, starters, tires, hydraulics, engine components and more. The Modern Shop has what you need and is dedicated to providing you with the right part, at the right price, with the best service.